Kano's mission is to encourage people, particularly children, to see computers not as unchangeable appliances but as tools to be made, shaped, coded and shared. Their kits plug together bits, boards, buttons and cables to make individual and personalized computers. Bruno gives Todd a hand to develop a selfie camera from their new Camera Kit. Kano's approach is to challenge each young developer into programming simple apps that achieve technical goals. 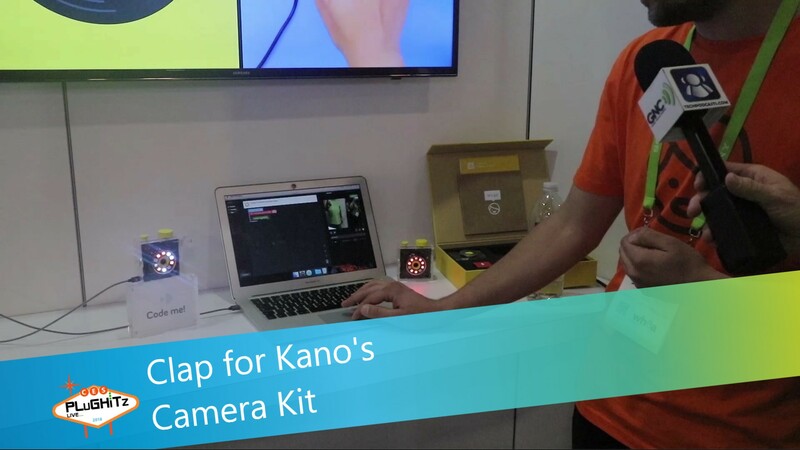 Using Kano's development tools it's really easy to build programs as the tools come with code building blocks for things like taking a picture or responding to noise via a microphone. Consequently, even Todd can code an app to take a picture when someone claps. The Camera Kit's not expected until next year but you can sign up to hear the latest news. Expect the price to be around $99.